EXCELLENT CONDITION AND READY FOR SPRINGTIME FUN. WE OFFER FINANCING WITH LOW PAYMENTS.. WE OFFER A FREE CARFAX REPORT FOR EACH VEHICLE. CALL 615 754-0555 FOR ADDITIONAL DETAILS. 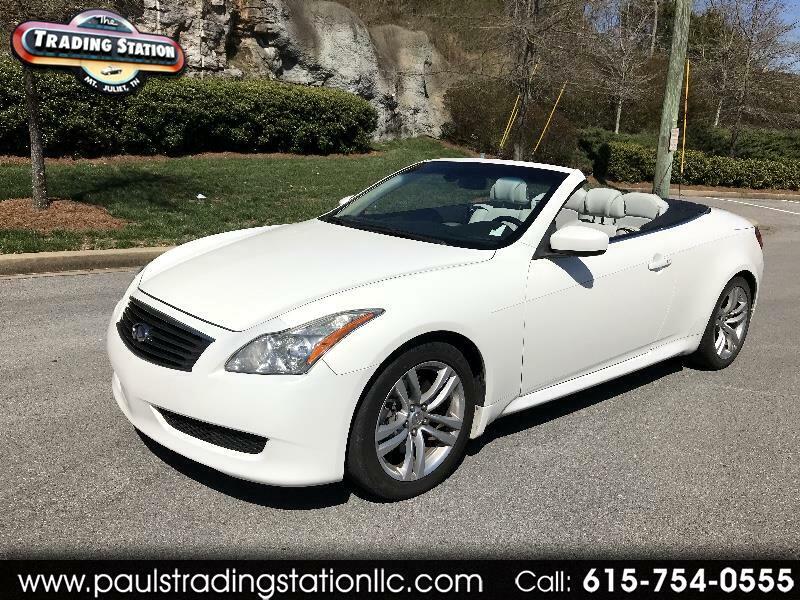 Message: Thought you might be interested in this 2009 Infiniti G Convertible.